The luxury camping site of Les Amiaux is ideal for nature lovers who want to unwind in style. 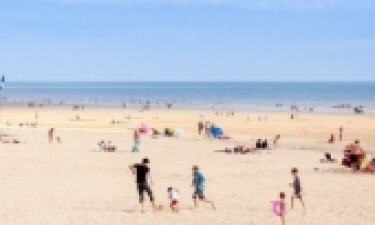 The campsite can be found on the coast in the picturesque Pays de la Loire region of France and is set in a forest on the edge of a fine sandy beach. People who want to get to know this part of France will be able to spend time driving along the pretty coastal road to nearby towns and villages, while bicycle hire is also available at Les Amiaux to allow visitors plenty of opportunities to soak up the stunning scenery at their own pace. This luxury camping site comes complete with its own onsite spa, where visitors will receive plenty of pampering. This is the perfect place to soothe away aches and pains from travelling with a massage and a range of other luxurious spa treatments and adults will be able to enjoy a little peace and quiet to ensure that their camping holiday gets off to the right start. This impressive LUX-camp is situated right on the beach and this is the perfect place for sun worshippers to unwind for a while. Those water lovers will have a great time messing about in the water, and they’ll also find some excellent sailing and sailing opportunities nearby. The water that laps the sand of the beach is ideal for swimming in – a unique luxury camping experience. Parents can be sure that the kids will be fully entertained while spending time at Les Amiaux. 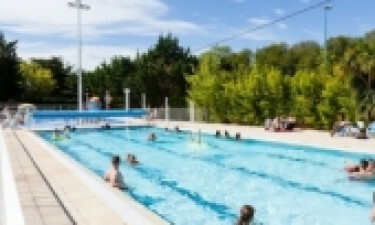 The large outdoor swimming pool comes complete with a children’s play pool, while there are also several water slides here for the whole family to make use of. The children’s play area features a climbing frame and other things that kids will love, while a dedicated children’s entertainment programme is provided to give adults the opportunity to relax alone if they wish. Anyone in search of refreshment will find everything they need right on their doorstep. The snack bar at Les Amiaux provides a good selection of light bites that can be enjoyed beside the swimming pool or at the beach. The luxury camping site also boasts an excellent restaurant that serves a large selection of classic French dishes as well as British favourites and this is a good place to linger in the evening while enjoying a glass or two or locally produced wine. Campers who want to create meals for the whole family in their mobile home will be able to shop for groceries at the onsite shop. Freshly baked bread can be found here as well as other goodies such as cheese and pate, making it easy to pack a picnic to take away while exploring the area, while ready-made meals and ingredients such as milk and cooking sauces can also be found here.